The temperatures were quite warm in northwest Ohio this past week. I spent the time working in my yard, and getting it ready for the summer. 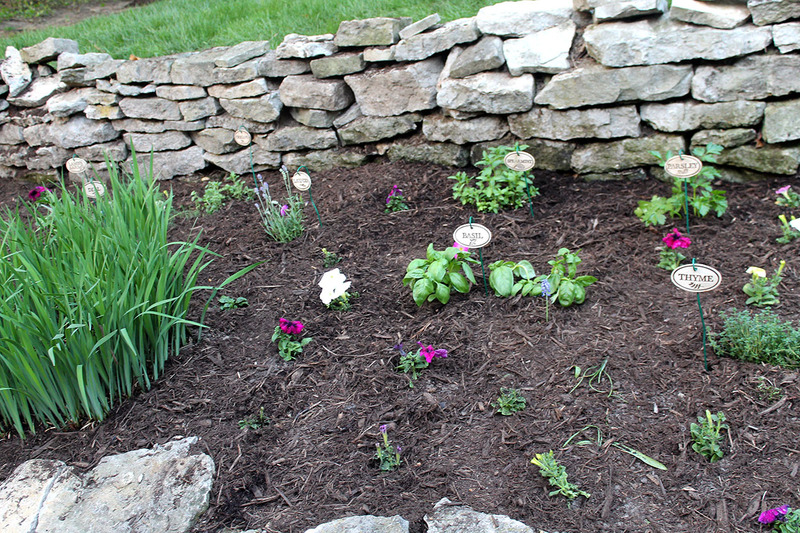 Weeds were pulled, flowers were planted, mulch was spread. If I do say so myself, the yard and flower beds look pretty good. 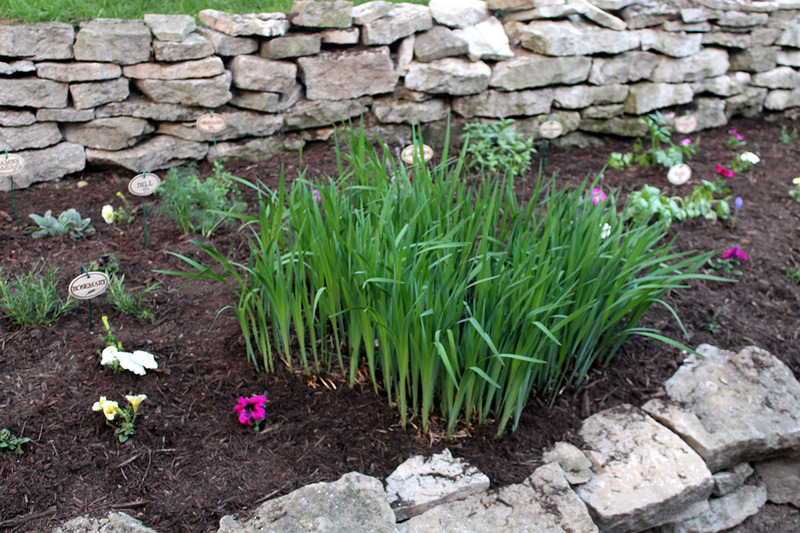 One of my favorite areas is this space that I use for an herb garden. I planted this area with herbs the first year that we lived here. 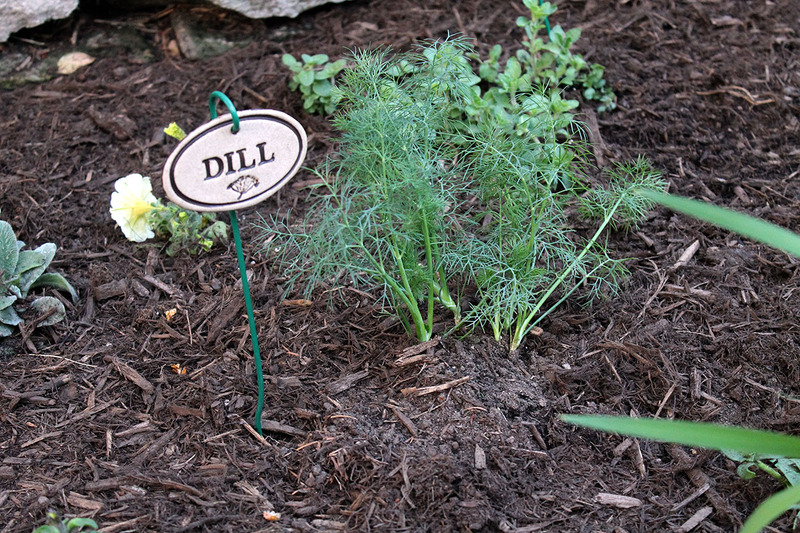 I grow just the typical herb plants…rosemary, oregano, mint, dill, basil, lavender…nothing too fancy. 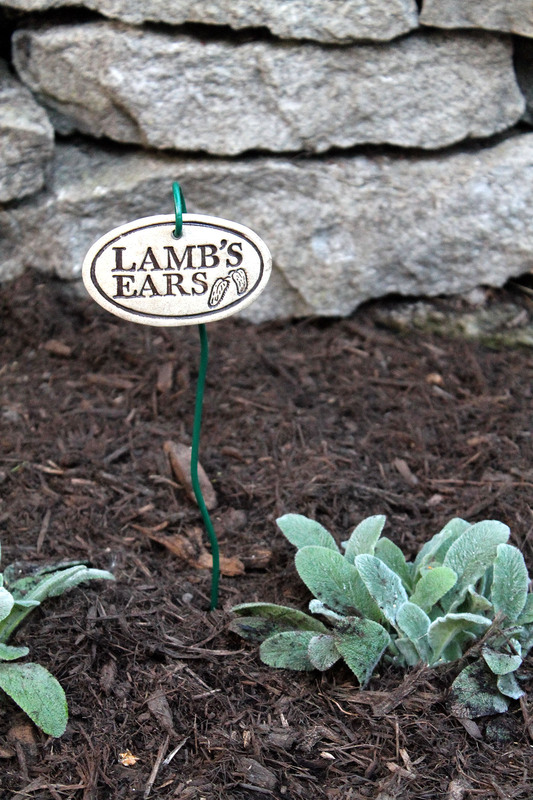 What I really love about my herb garden are these adorable signs! I’ve had them for 15 years, and I think they look so cute in the yard. 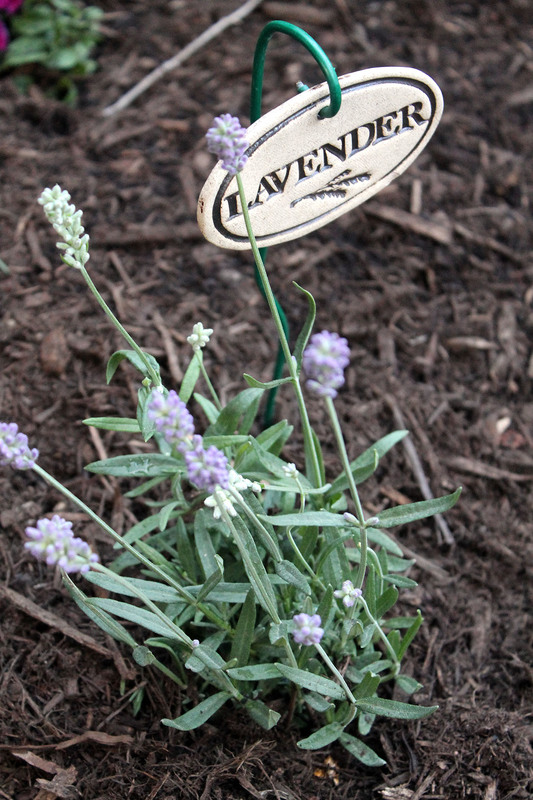 I know that most herbs are perennials, so therefore they should come back year after year. However, I do need to replace some of them every spring. 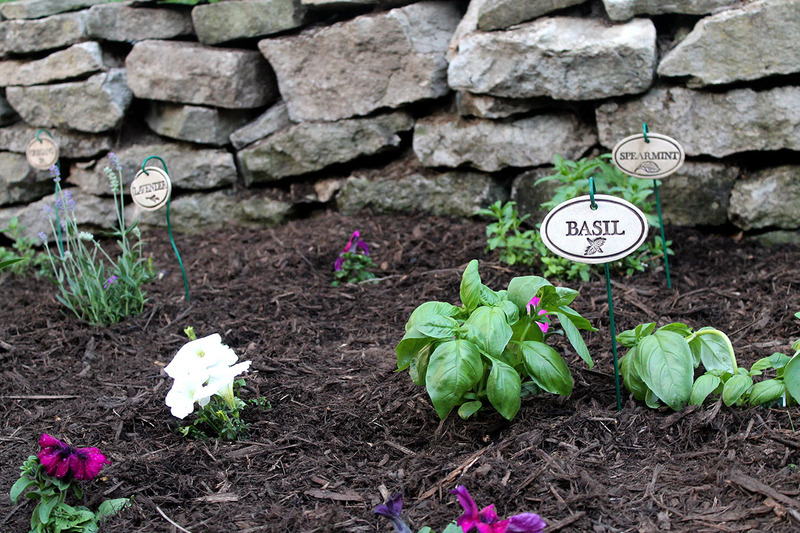 This year I planted some basil, rosemary, and dill. The mint NEVER needs replacing…it is quite plentiful! 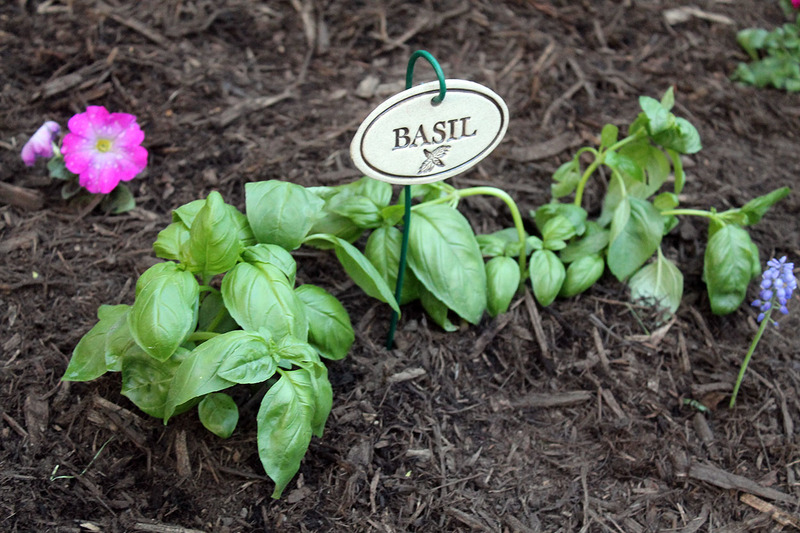 Aside from looking lovely in my yard, I use my herbs for cooking throughout the summer. I enjoy walking out my back kitchen door and cutting off a few sprigs of whatever I need. I love to season salmon with some dill. 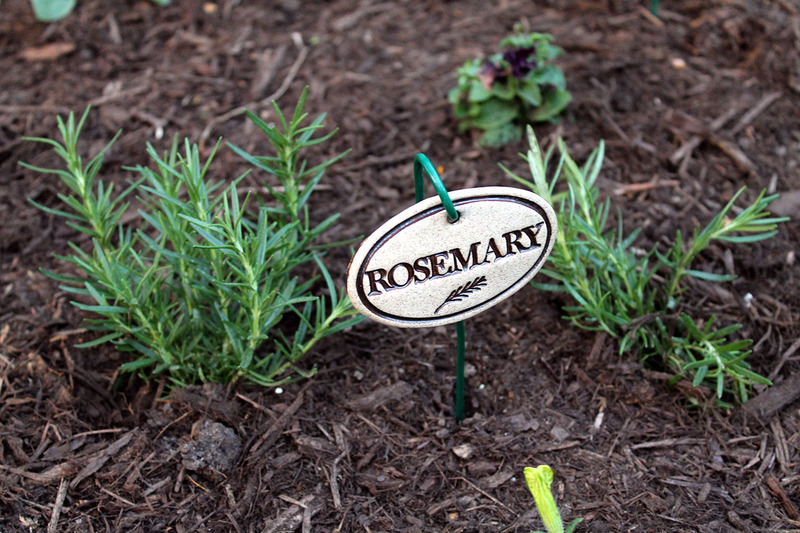 Roasted potatoes taste great with some fresh chopped rosemary. 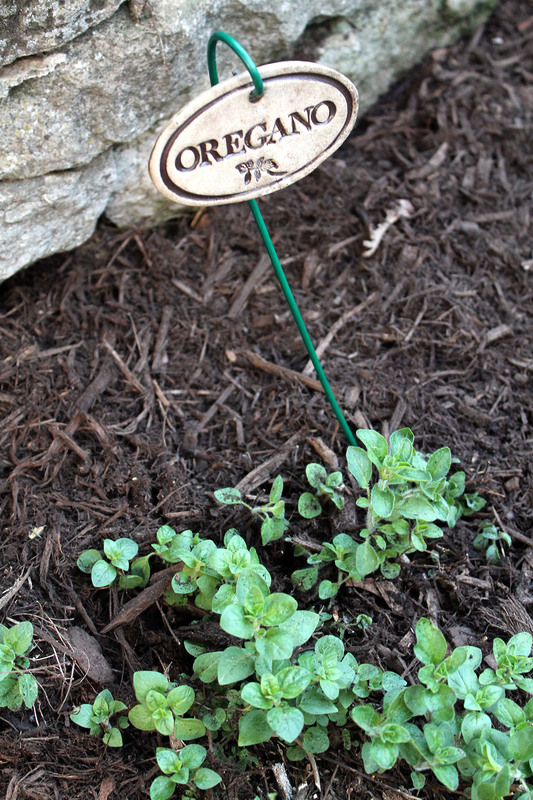 I throw a bit of fresh oregano into my spaghetti sauce. My girls enjoy making sun tea with a few stems of mint tucked inside the glass container. At the end of the summer, I use all the basil to make pesto. I freeze it in containers to use throughout the year. It tastes so fresh! 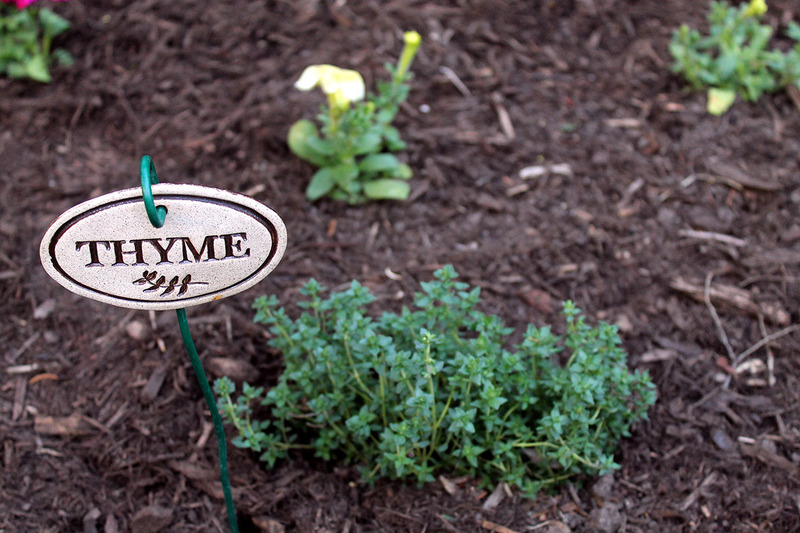 I love how it looks AND smells when I walk past my herb garden, and it is a joy to use the plants fresh off the stem to season my cooking! Now I’m tempted to get out there and plant … You make it seem so easy! Wait until tomorrow…it will be much cooler!